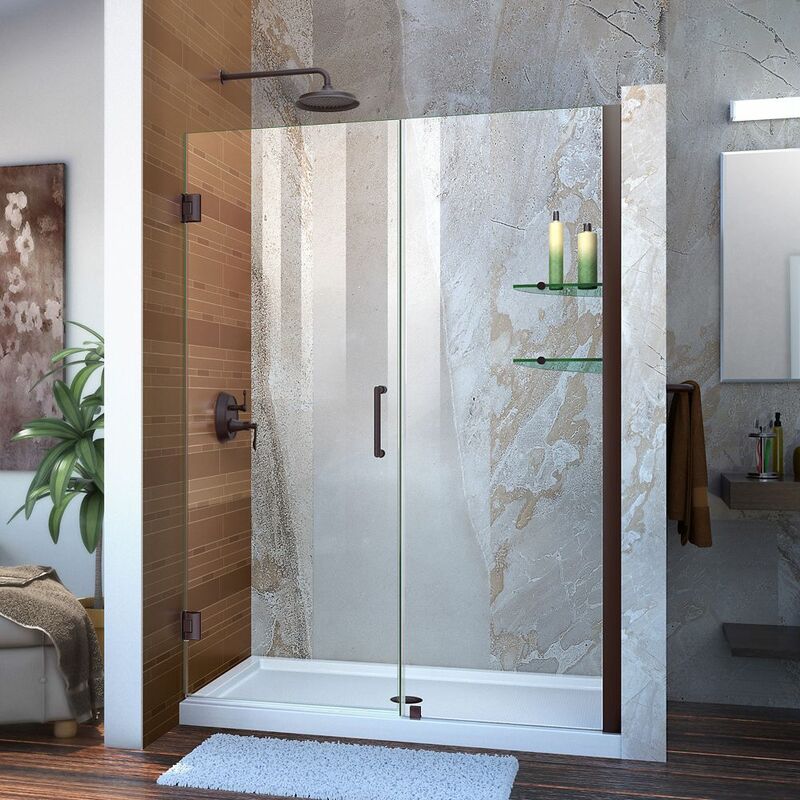 Unidoor 51 to 52-inch x 72-inch Frameless Hinged Pivot Shower Door in Oil Rubbed Bronze with Handle is rated 5.0 out of 5 by 1. Rated 5 out of 5 by Jr from Great purchase We have travertine tile in the shower and the frameless doors really made it look classy. My daughter said it looked like a high end hotel. We have bronze fixtures and the bronze on the doors matches perfect. We are very happy with them.